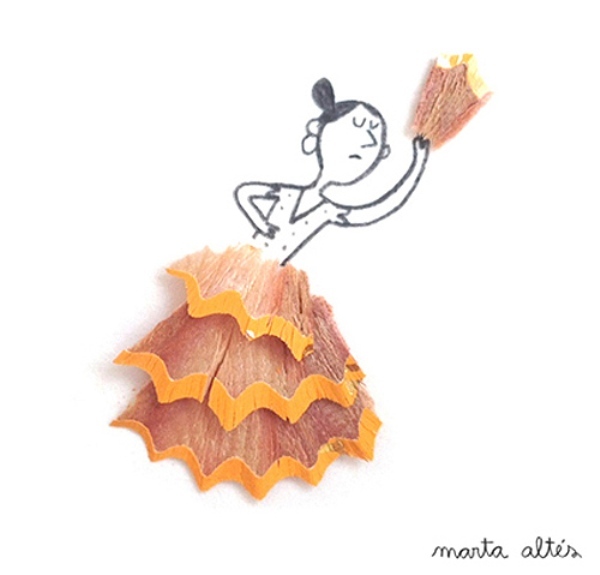 This is an awesome creativity with pencils shaving. 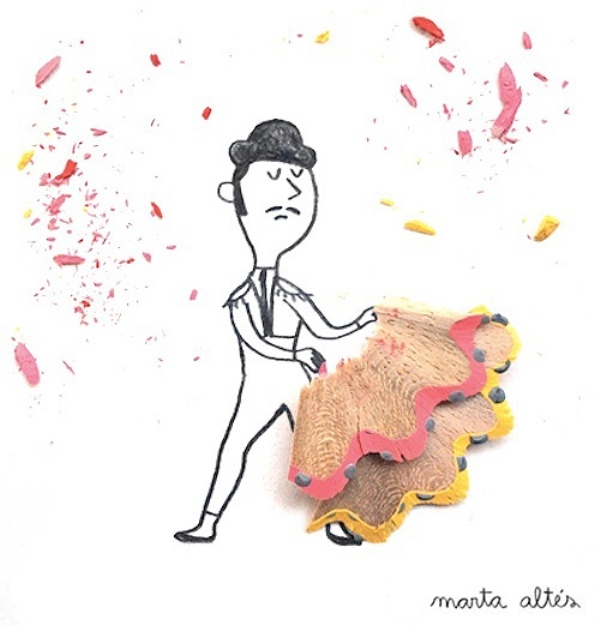 Mostly people after sharpened the pencil the shavings threw into garbage, right? 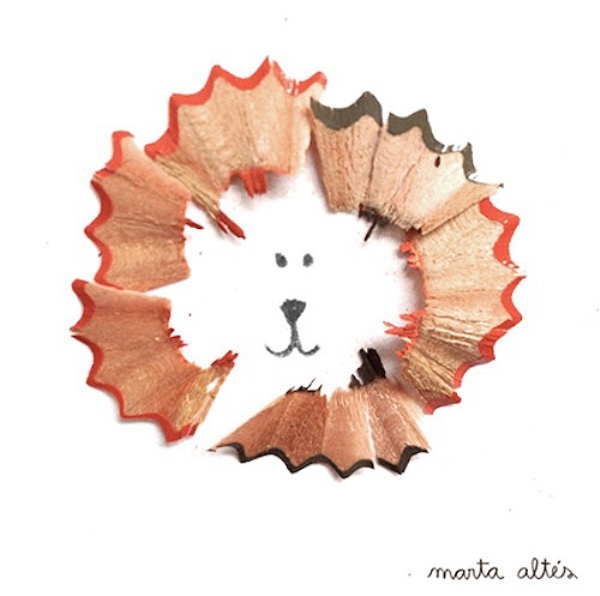 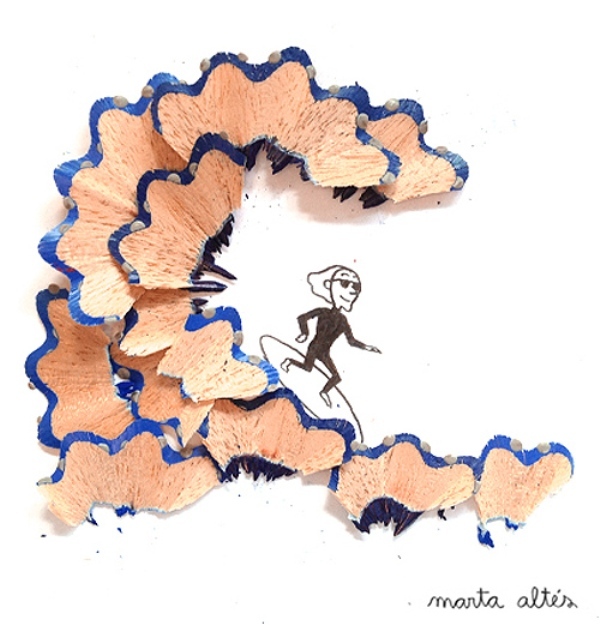 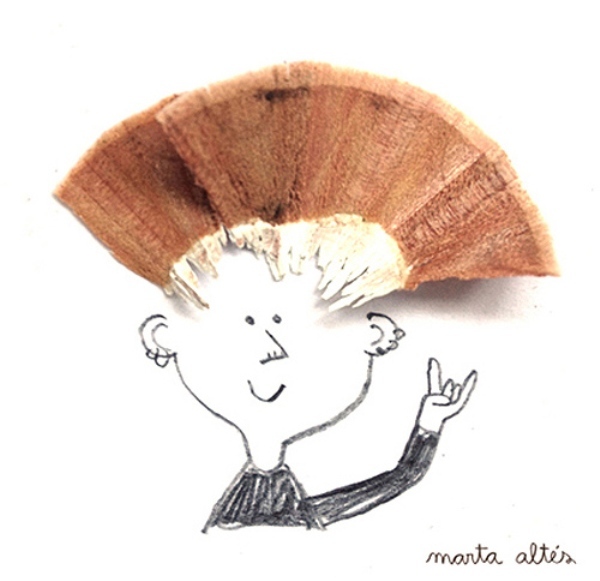 Believe it or not, some people takethose pencil shavings and create pencil art with them. 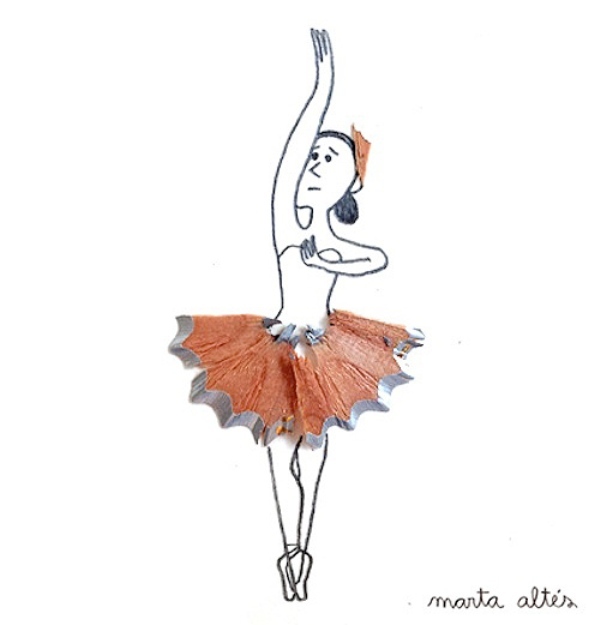 It’s truly fabulous really, and it always makes me smile. 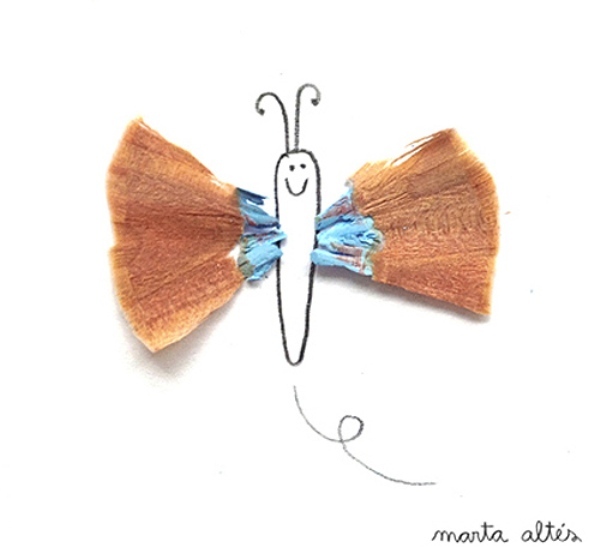 This collection was created by an illustrator named Marta Altes. 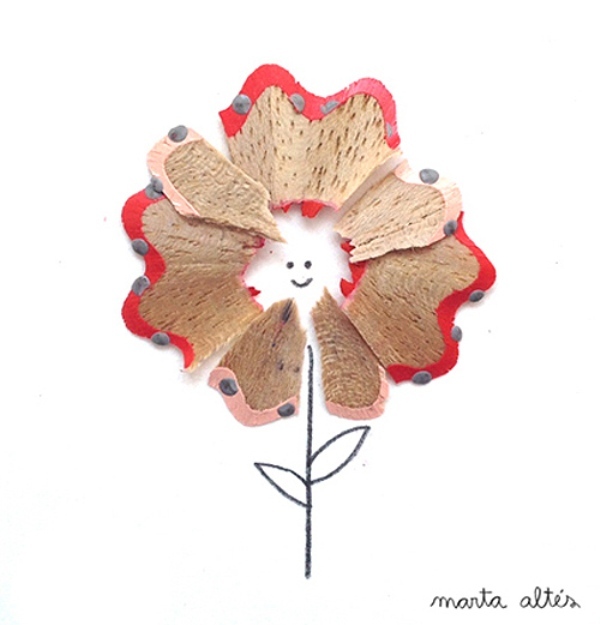 Each one of these illustrations incorporates the pencil shavings in such a creative way, and the expression in each one makes me feel happy.